Q:Could it be possible to have three lines. I want to give this to my daughter and future son in law as a gift with both their full names and the wedding date after it? A:Unfortunately only two lines of text can be personalized on this item. Any baseball fan will be so excited to receive this personalized leather baseball and acrylic case. 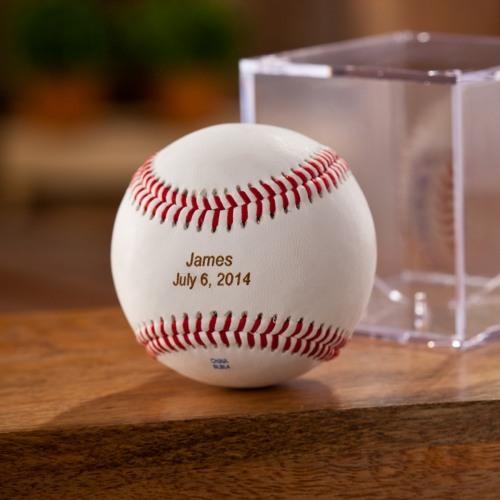 The baseball can be personalized with up to two lines of text and makes a great gift for a groom, groomsmen, fathers day, or a birthday. Baseball is official size.